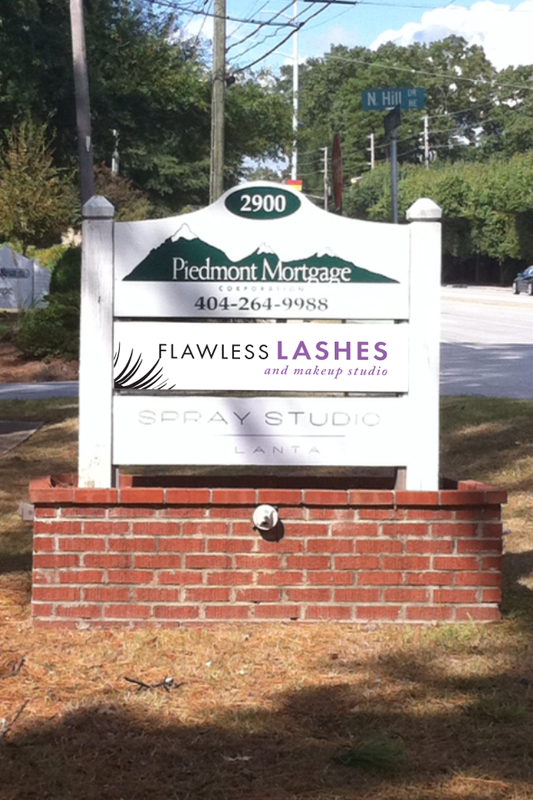 Flawless Lashes new location open today! - Flawless Lashes Well, it is a very exciting day for me today, as it is my first official day at the new Flawless Lashes and makeup studio location. I am conveniently located in Buckhead at 2900 Piedmont Rd. 30305. Well, it is a very exciting day for me today, as it is my first official day at the new Flawless Lashes and makeup studio location. I am conveniently located in Buckhead at 2900 Piedmont Rd. 30305. Well, it is a very exciting day for me today, as it is my first official day at the new Flawless Lashes and makeup studio location. I am conveniently located in Buckhead at 2900 Piedmont Rd. 30305. This entry was posted in Eyelash Extensions, Makeup Clients. Bookmark the permalink. Very nice. I am an esthetician and looking forward to taking EE classes!!!!!!! I love reading about ya’ll at the EE chat. I can’t seem to get on!! !